The deep undercutting strategy is usually considered an aggressive, market-PvP way. You destroy the profit for everyone, making them leave. It works wonders on 0.01 ISK-ers as they are utilizing time to get profit. If they are not making any, they lose lot of time for nothing while you lose only a little. However it doesn't work all the time. Some of them are just persistent. They don't play for the ISK, they 0.01 just for the sake of PvP. To feel like the king of Jita. Others look back later when you'd try to cash in. A third is not a single person but a collective of random guys who are not so dumb to sell to a laughable buy order but not so smart either to do anything more than check market details and type in the current lowerst order -0.01. You clearly can't scare them off. Of course you shouldn't give up the market to such competitors. Behold the permanent undercutting method. It's purely PvE, ignores the other sellers as players, just treat them as factors in an economic situation. The system is based on the elastic supply and demand curve. In simple terms: if the sell price decreases, the sell volume goes up because people who couldn't afford the old price buy now. If the buy price increases, the volume goes up because more and more people find the item worthy of farming/hauling/buying from LP. Obviously the increases can't go on forever as the sell price can't be below the buy price. We can conclude that the volume is highest when the sell and buy price is the same, which is another economy 101 statement. Obviously if the buy and sell prices are the same, the trader has no profit. Actually you have no profit if they are within the tax + broker_fee range. But usually they are very far from each other. The permanent undercutting method is the following: when you place a new buy or sell order, set it close to the existing one. Of course not 0.01 but the nearest million. When updating the price, check how many items are undercutting you. One seller with 100 items is more problematic than 10 with 1. Depending on the amount of undercutters (most of them will 0.01), make your cut, about 2-20% of the price difference of buys and sells. So if the sell is 150M, the buy is 100 and I'm undercut by a single guy with a single item, I undercut him by 1-2M. If several undercut me, I undercut by 5M. If I have to scroll to find my order or find a large-volume order above me, I undercut by 10M. The most important part is that to wait between price updates. At least half day, but a whole is maybe better. You can effectively trade even if you update only few times a week. If you check back in 10 mins, you'll find it undercut by several 0.01, you cut again by 5-10M, few more cycles and you destroyed the profit. The point is not to sell before the 0.01 punks. That's impossible. The point of decreasing the sell price is to increase the sell volume to the point where the buyers buy out all the 0.01 punks above you and you. You can claim that you won't sell anything since the 0.01 punks are having 0.01 buy orders above you too so they constantly buy and sell. This is technically true, but irrelevant. The buyers and sellers are not constant streams so there are always micro-swings in the market. This hour 10 guys bought and 2 sold, next hour 3 v 7. When the buyers are over-represented, the sell orders are bought out and the buy orders can't keep up. When sellers are over-represented, the opposite happens. To make it better, the 0.01 punk utilizes his time to gain trades. Your profit/hour is (sell-buy-tax&fee)/10 seconds as you can set up a buy/sell order or update it in 10 seconds. His profit is (sell-buy-tax&fee)/time_spent_camping. As you keep cutting the price you find that after a point you don't need to undercut anymore as they choose to wait you out. Then you sell first. It usually happens with me below 4% sell-buy difference. So Accounting 5 and low broker fees are a must. Remember, the point is that it's a permanently running strategy, not a campaign. You either make profit or have no losses (besides few seconds of time). The 0.01 punks have no chance against you, even if they are ready to camp 24/7 for no profit because they are fighting market forces and not you. 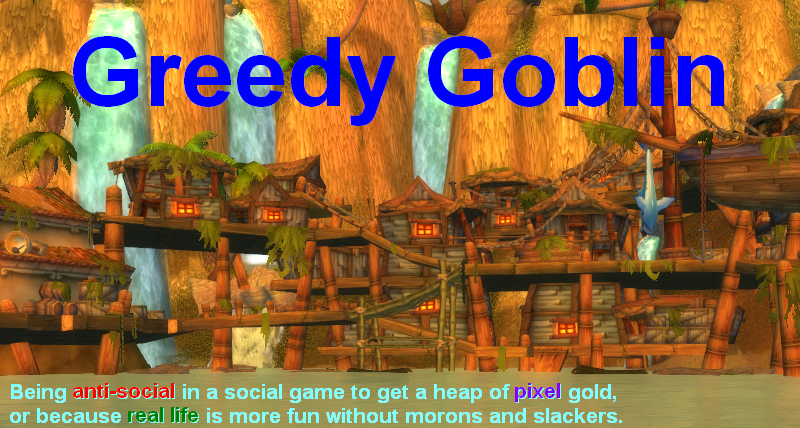 Join the goblinworks channel for trading, hauling, crafting discussions. Bots won't leave for sure, but they still can't stop me from having sales. Probably they'll have more sales than me, but I still make profit. If the volume is high enough, than the buyers buy out all the stock of the bot and then mine. You also have to remember, most of the bots also buy what they sell, and they will go all the way to .01 isk from equilibrium. However, you can usually use this to your advantage, and farm the bots in some real market pvp if you know how. 0.01 isk punks can be used a to make some profit too. When sale orders some good in Jita are much higher than rest of universe ( sometimes it happens). 0.01 isk buy order punks can be lured to prices well above sale orders in regions outside of Jita. This is time to cancel you buy order, do a quick run around and fill all these multi billion overpriced buy orders by goods you just bought in 4 jumps from Jita. It does not work every time but often enough. Informative post:) I feel when selling price is low then, the volume of sales will be more and we can earn more profit by high volume of sales, so that all everyone can buy at affordable prices. I feel its good method. Yeah 0.01 are so bad. I would bet you're the guy who has ruined my business on Drug Manufacturing skillbooks by dumping the prices by a 30% to, surprise, sell just as many skillbooks as I did in the first place but at a much lower benefeit from each unit sold. I sense the power of money making in that, yup. I agree with qvar, I think you're overestimating the volume increase, while the the loss of the profitability on those items is huge.